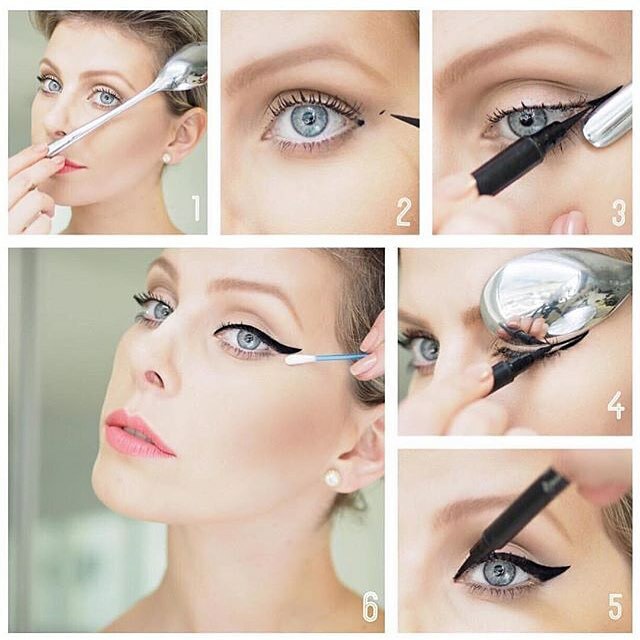 Check out amazing hacks related to the application of eyeliner and achieve a sizzling hot eye makeup look! No eye makeup can be complete without the exaggerated stroke of an eyeliner. It’s one of those makeup products that instantly adds depth and definition to even the most unflattering eyes. But applying an eyeliner is no child’s play. As they say, practice makes a man perfect, so one must master the art of applying eyeliner by practicing. Or better still, maybe try these simple hacks to applying the most gorgeous eyeliner. So here we go! 1. 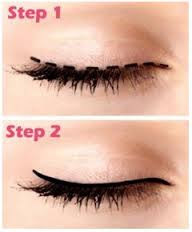 If you’re one of those whose hands get shaky while applying the eyeliner, then use a pencil eyeliner first and trace and top it off with a liquid eyeliner later to get a smooth looking line. 2. Make your pale looking eyeliner more vivid by lining your lids with a white eyeliner first, followed by your liquid eyeliner. 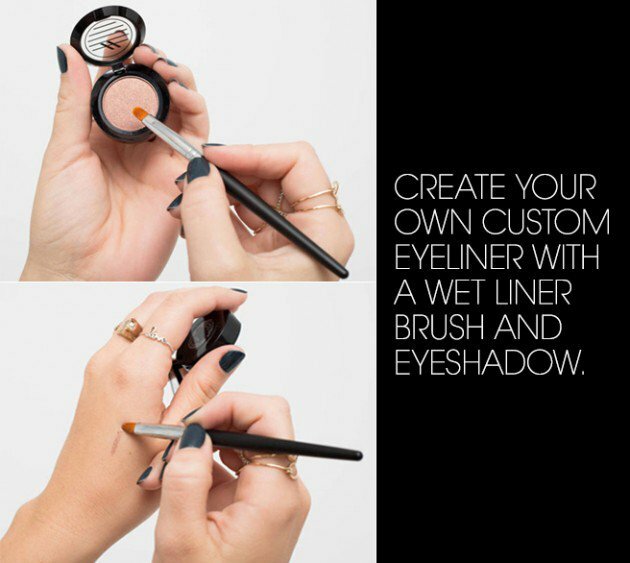 This will make your dull eyeliner pop and stand out. 3. Let your eye shadow act like a makeshift eyeliner by dabbing on some shadow on the tip of a wet eyeliner brush and applying it onto your lash line. 4. Help your eyeliner stay put by dusting off some powder eye shadow on top of your liquid eyeliner. This will not only help it last longer but also make it look more pigmented. 5. For those of you who are yet to master the art of applying a perfect cat eyeliner, use the edges and curves of a spoon to get the perfect looking angle. 6. Swap the harsh black eyeliner with a more earthy brown, for a more natural, softer look. Besides it makes for a perfect office wear and is the most ideal pick for day wear. 7. Not many people know how versatile a white eyeliner can be. 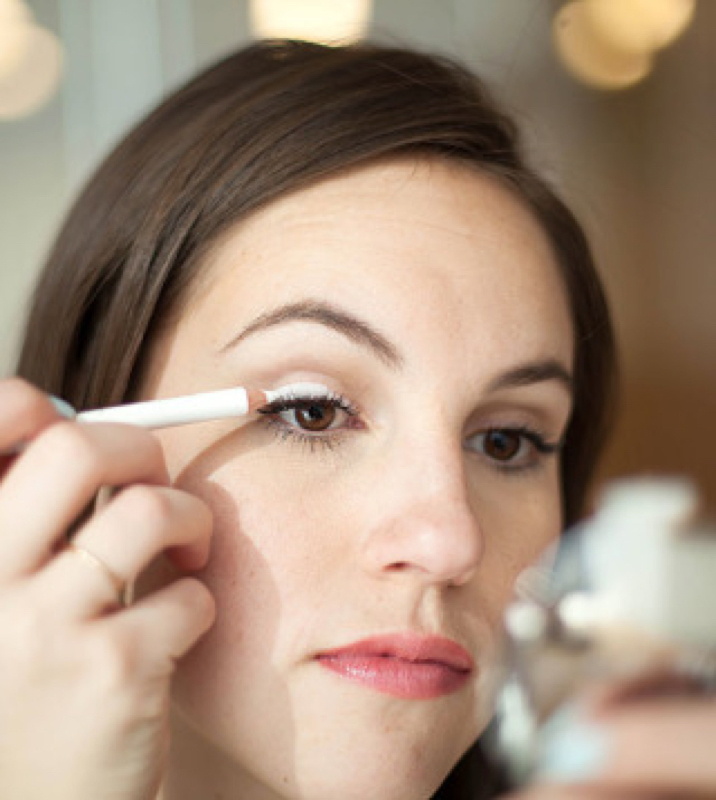 Use a white eyeliner on your waterline to make your otherwise smaller eyes appear bigger. 8. For beginners, with absolutely no experience of applying an eyeliner, an easy hack would be to create small dashes on your lid and then join them together to make a single smooth line. 9. Did you know that you can also use your eyeliner to get a sultry smokey eye look. All you need to do is make small hashtags on the outer half of your eyelids and then smudge it out with a sponge. 10. If you’re keen on using a pencil eyeliner, then heat the tip of the pencil on a flame or with your blow dryer for a few seconds to make application easier and make it glide smoothly onto your lids just like a gel or liquid eyeliner. 11. One problem most of us face is a crumbly eyeliner. An easy fix to this problem is to freeze your eyeliner 10 minutes before application. 12. 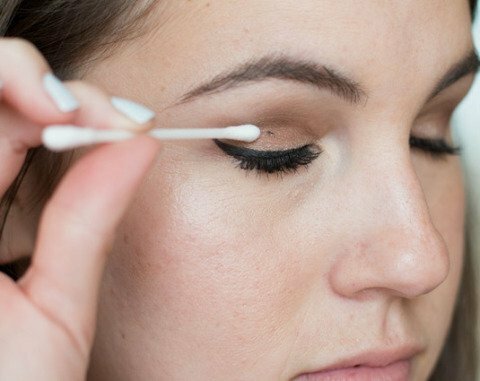 In spite of all your best efforts, if you’ve ended up with a smudged line, then use some petroleum jelly on a Q tip to fix the smudge into a smooth line. You could also use liquid foundation or concealer for the same.